which is part of session Are we done with T&I? which is part of session Crypto For Now! We endorse you for being an edubadger! Dr Tim Chown is the Network Development Manager for Jisc, who operate Janet, the UK's research and education network. He is Work Package Leader for the Network Technologies and Services Development WP of the new GÉANT GN4-3 project, which runs until December 2022. His interests include network service orchestration and automation, network monitoring, IPv6, network security, and end-to-end network performance. 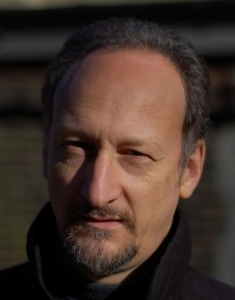 He is a Visiting Fellow at the University of Southampton, co-chair of the UK IPv6 Council, a PC member of UKNOF, and an active contributor to the IETF, where he sits on the Internet and Operations Area Directorates. which is part of session What's going on in the next GÉANT Project? which is part of session Workshop: Time to go back to the drawing board? Antoine Delvaux holds a M.Sc.Eng. degree in Computer Science from the University of Liège, Belgium (1999). 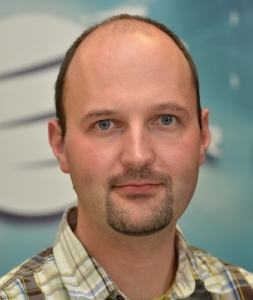 He is working for PSNC, the Poznań Supercomputing and Networking Center, and is perfSONAR Service Manager in the GÉANT project. He has participated in different network and services monitoring activities, both on the operational and the software development sides, for many years and for various (N)REN (Belnet, Dante, PSNC, WACREN, Indiana University). He is involved in the perfSONAR project since 2008. Renato is a software engineer at SWITCH. He joined SWITCH in 2008 and is responsible for various services at SWITCH like SWITCHinteract, SWITCHfilesender and SWITCHtoolbox. Since 2014 he is also working for SWITCHdrive - SWITCHs ownCloud services. He has a Bachelor of Business Administration and a MAS in software engineering. "But on <insert favourite service> I get <insert favourite feature> for free!" which is part of session Are you ready for your next crisis? Security & Privacy Awareness for everyone! Bartlomiej Idzikowski graduated from Poznan University of Technology in 2003 (Computing Science - Computer Networks and Distributed Systems) and has become PSNC employee (Network Department). His research interests focus on video- and web-conferencing, high resolution video systems (4K, 8K), web-based applications, streaming technologies, network management and traffic monitoring. Bartlomiej's professional background is asserted by long-term cooperation within different European projects (GN2 – GN4, 6NET, Porta Optica Study, Phosporus, VISIONAIR), as well as national ones (Platon, Future Internet Engineering, Future ICT). Currently Task Leader for WebRTC task in GÉANT project, technical coordinator for TNC (The Networking Conference) and coordinator of the scientific TV team. Out of the Ice Age: Can NRENs Support Antarctic Science? Consumer IoT security and privacy frameworks, trustmarks and certifications: useful, or useless? Gabriella Paolini is the Traning and E-learning Manager for GARR. She started working for GARR in 2000 as a Senior Network Engineer. She follows GARR Schools community and actively partecipates in the EC project UP2U. Since 1995 she is working on digital literacy, in particular to overcross digital gaps. Since 1989 in the Register of Italian Journalists. She is a board member of ISOC Italy Chapter. 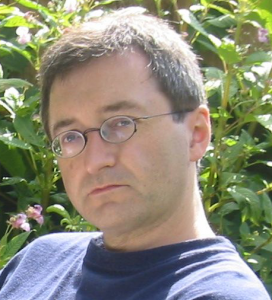 Guy Roberts joined GÉANT in 2006 and is Senior Network Architect. He is responsible for the introduction of new transmission technology into the GÉANT network and is currently working on the design of the next GÉANT network to be built in 2020-2022. He is also technical lead for GN4-3 WP6-T1 quantum key distribution and optical time/frequency network sub-tasks. In addition, Guy is technical lead for the developing a new spectrum service in the GÉANT network. As co-chair of the NSI working group in the Open Grid Forum he is joint author of several GFDs. Guy received his PhD in photonics from the University of Cambridge in 2006 in the area of DWDM subsystem design based on integrated photonic components. Nathalie Roth is a trained and certified translator, terminologist and interpreter. She studied German, French and English translation at the University of Geneva in Switzerland; and Portuguese and English at the Alumni translation and interpretation school in Sao Paulo, Brazil. After working several years as a translator and terminologist in banking and insurance companies, Nathalie Roth discovered the world of e-learning, when working as an e-learning author for bank training modules. 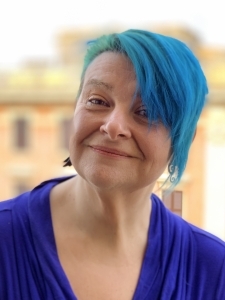 Since 2009, Nathalie Roth has been working as a community coordinator for the Swiss e-Learning Community eduhub at SWITCH. She is also manager of the Safe Exam Browser Consortium. Dr. Stelios Sartzetakis is Research Director at the Information Management Systems Institute of ATHENA Research Centre, and Strategy Planning Committee Coordinator of GRNET. 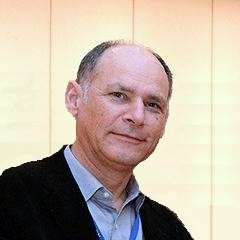 Before that, he headed the telecommunications and networks laboratory of ICS-FORTH; he was visiting professor at the Department of Computer Science of the University of Crete; and participated in numerous international research projects in the area of broadband network management, QoS and traffic management, and optical networks. He was principal in the creation of FORTHnet, the first Greek ISP. His research interests include cloud-based large data processing, storage and network programming systems. He received his PhD in Electrical and Computer Engineering from the National Technical University of Athens, his MEng in Systems and Computer Engineering from Carleton University of Ottawa, and his BSc in Mathematics from Aristotelian University of Thessaloniki. 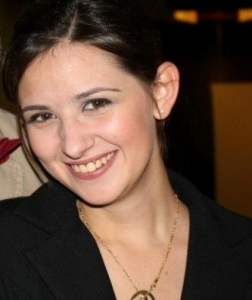 Agnese Sbrollini is a Consortium GARR fellowship student since November 2018, working on a project entitled “In-Cloud Cardiovascular Monitoring System for the Prevention of Sport-Related Sudden Cardiac Death”. She received the PhD in Information Engineering in March 2019 at Università Politecnica delle Marche (Ancona, Italy). In 2017, she stayed for 3 months at Leiden University Medical Center (Leiden, Netherlands) for the Erasmus + Traneeship. She received the Degree in Biomedical Engineering at Politecnico di Torino (Torino, Italy) in December 2014 and the bachelor’s degree in Biomedical Engineering at Università Politecnica delle Marche (Ancona, Italy) in 2012. She is author of 10 journal papers and 25 conference proceedings. Davide Vaghetti is the GARR Coordinator for the Italian Identity Federation IDEM. Davide has worked previously as a System and Network Administrator at the University of Pisa where he developed and managed the Identity Management System. Since 2013 he has been the coordinator of the Italian Identity Federation (IDEM) Technical Steering group, and in 2016 joined GARR to work full time as a digital identity researcher. He has been task leader in the Joint Research Activity of the AARC project, and he has also been sub-task leader in two teams of the GÈANT GN4-2 project (OIDCFed and eduKEEP). Lately he has been nominated eduGAIN Service Owner in the GÈANT GN-3 project. In the meantime, he has also been CCNA Instructor, software developer (mainly Java, Python and Ruby), and freelance Japanese translator. He graduated in Japanese History with a thesis on the Taishoo Democracy and he holds a post-graduate diploma from the Faculty of Engineer on Internet Technology. Network Automation & Orchestration: Are you in business? Is there a way to explain networking to ordinary people and still look clever? 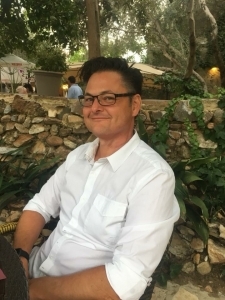 Frans Ward is a Senior Technical Product Manager at SURFnet and has been responsible for innovation projects in the area of Trust and Identity, Service Delivery and Educational Services. For the past three years his focus was mainly on Open Badges and Micro-credentialing, the Open Educational API and Open Educational Resources; projects that are part of the SURF innovation programme 'Education Innovation with IT'. Frans studied Business Information Technology at Rotterdam University. After working at the Erasmus University IT department for more than 12 years he joined SURFnet in 1999. Stefan Winter graduated in Computer Science at the University of Karlsruhe, Germany, in September 2004, with a specialisation in telematics and foundations of Computer Science. He is working as R&D Engineer for the Luxembourg Research and Education Network RESTENA, where network roaming and identity federations are in the focus of his activities. He led the R&D work for eduroam during several incarnations of the GEANT projects. He is member of the eduroam Operational Team in Europe (leading the development of the eduroam CAT software) and the Global eduroam Governance Committee.